Creating a personalised enamel badge is a way of expressing personality, individuality, and it's also a lot easier than you would think! 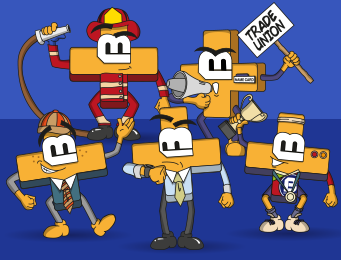 But why should you take the time to create your own badge when there are plenty of imaginative and fun creations already on the market? 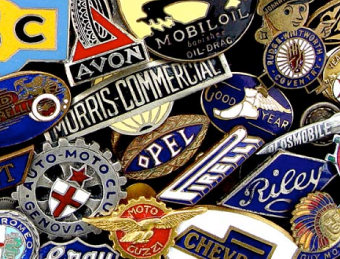 Well, personalised badge making opens a unique window of opportunity for marketing, inclusion and charitable incentives, to name but a few rewards of designing your own badge. 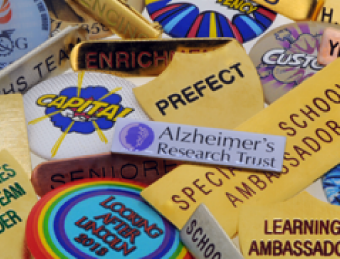 Creating custom badges allows you to showcase tailored branding, company logos and messages that are unique to your specific cause or organisation. Or on a personal level, you can design a badge with a special person's name, significant dates or include a funny message on a novelty badge. Whatever your heart desires, custom badges have an extra layer of flair and sentiment that you can't get from a ready-designed button badge. 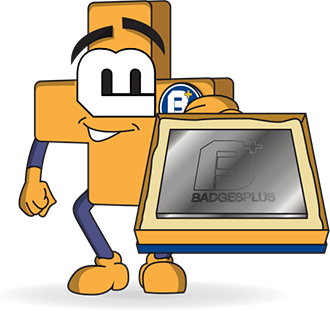 Charities, corporate businesses and educational organisations are just some of the establishments that approach Badges Plus to design their unique personalised pin badges. 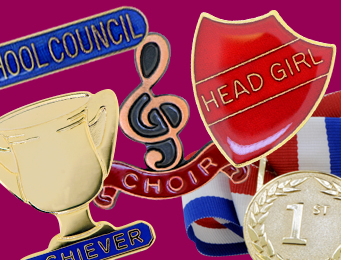 However, the use of custom pin badges in social situations is a trend that is thriving, driving many individuals to Badges Plus to make badges for use in activity weekends, small-town sports clubs and even wedding favours! If you want to make your own badge, but you're not entirely sure where to start, we're happy to inform you that you are in the right place! 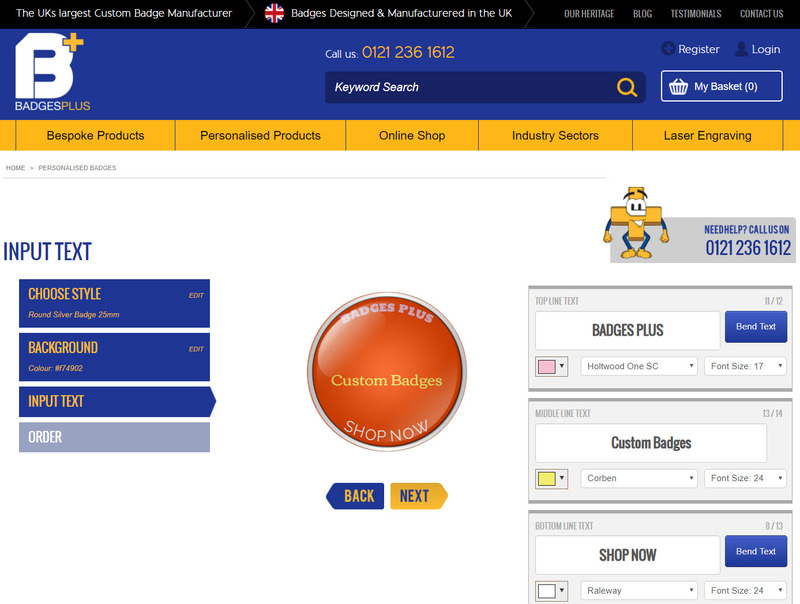 Step 2 - Visit our Personalised Badges to begin our online begin using our online badge maker. When you make a badge with Badges Plus, your second decision is to choose a style of pin that you would like. If you chose to proceed with a button badge in stage 2, the collection ranges in size from a tiny 25mm to a pretty sizeable 76mm. For those who proceeded with a metal badge, your options are slightly more varied. First, you must choose a shape for your metal pin, from round, square, rectangle or oval, we can manufacture all forms from silver or gold metal. Lastly, you must pick a size for your metal pin, ranging from 18mm up to 32mm. Now we’re at the fun stage - incorporating YOUR ideas, YOUR design, and YOUR personality. When you make a badge using the Badges Plus online process, your fourth and final stage is to add all of the branding and style elements to your custom badges. 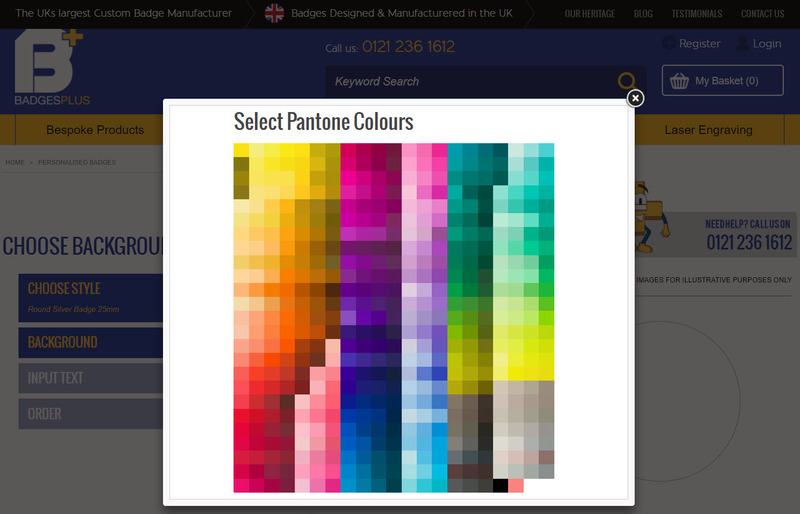 When you personalise badges online, you first choose a background, which can be a solid colour from a vast range of Pantone shades, or you can upload your custom background image. You then have the option to enter up to three lines of text, which can be any message you desire and with a choice of available fonts, text sizes and text colours, you can personalise it to your unique tastes. 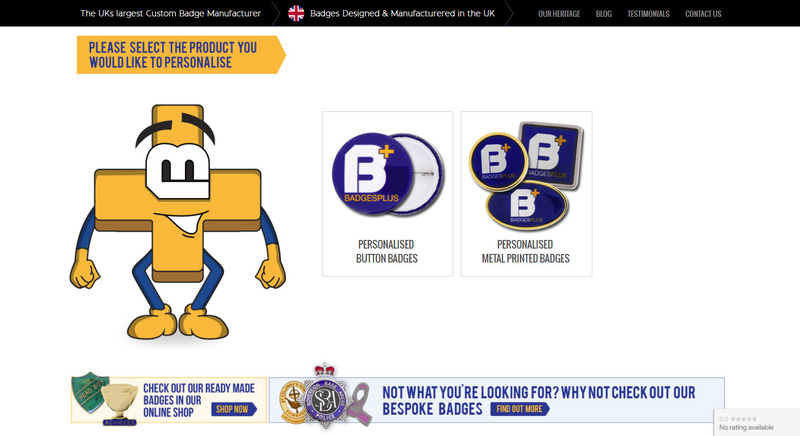 Lastly, you will be asked to enter the quantity you require, the more personalised badges that you order, the lower the cost per unit; press 'Buy Now' and your order is complete! 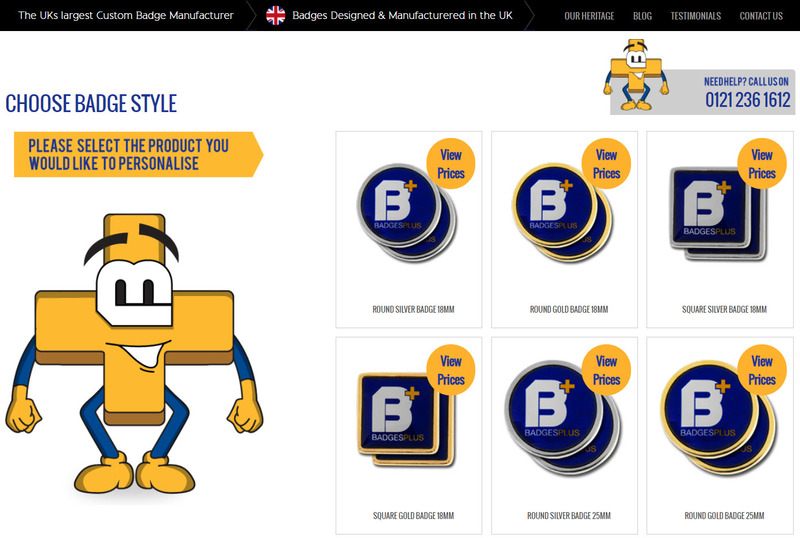 If you have a vision that you are not sure how to express, Badges Plus has a team of in-house designers, all working from our local premise in Birmingham's Jewellery Quarter. 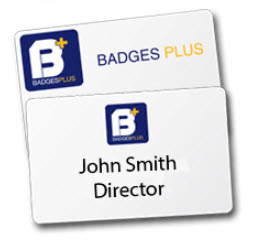 We have direct teams all working together to ensure you have the highest-quality badges in your hands at the end of the process. To get started today, head to our online badge maker today. Alternatively, if you would like something a bit more intricate, contact our teams on 0121 236 1612 and we can work together to bring your ideas to fruition.